Wolsingham, often referred to as The Gateway to the Dales, is situated in an Area of Outstanding Natural Beauty about 20 miles South-west of Tyneside, and 15 miles west of Durham City on the A689. A place of historic and scenic interest; a conservation area surrounded by superb open countryside. The Durham Dales and North Pennines are easily accessible whilst a network of public footpaths, cycle and bridal ways weave through the surrounding fields and countryside following the banks of the Waskerley and the River Wear. Many of these routes are easy to pick up and follow circular routes through local farms and follow up over the rolling hills taking in the beautiful scenery from the fells of both sides of the valley. Weardale provides the setting for a full range of outdoor leisure and country pursuits. An excellent area for walking and cycle hire is locally available. Those interested in Geocaching, please click here for a list of caches in the area. You may want to visit www.discoverweardale.com for more information and a gallery of pictures. The Lake District, North Yorkshire Dales, Teesdale, Northumberland and the coast are all within easy reach and well worth visiting. 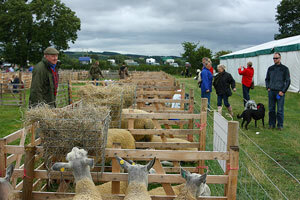 This annual show is run by the Wolsingham and Wear Valley Agricultural Society. Agriculture and manufacturing have always been the life blood of Wolsingham. Built by the mighty Nevill family in the 14th Century, Raby remained in the Nevill family until 1569 when after the failure of the Rising of the North, the Castle and its lands were forfeited to the Crown. 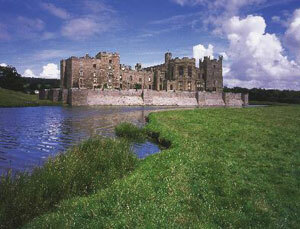 In 1626, Sir Henry Vane the Elder purchased Raby and the Castle has remained in the Vane family ever since. 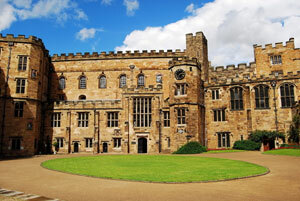 Auckland Castle has a thousand years of historic connection with England's only prince-bishop: granted exceptional powers by Norman kings, the Bishop of Durham remained virtual monarch in his diocese right up to the 19th century. 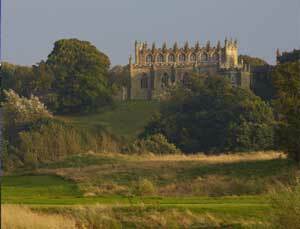 The castle and its park are at the centre of a wider sacred Christian landscape which may be 1500 years old. They are one of the most important and best-preserved medieval bishops' palaces in all Europe. Beamish is a world famous museum telling the story of the people of North East England during the Georgian, Victorian, and Edwardian periods. 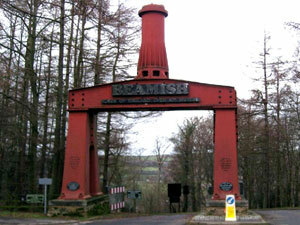 Beamish stands in 300 acres of beautiful County Durham countryside. Most of the houses, shops and other buildings you see here have been brought to Beamish, rebuilt and furnished as they once were. Some, such as Home Farm, Pockerley Old Hall and the drift mine were here already. The diverse collection spans three floors of the magnificent building and contains items too numerous to list. 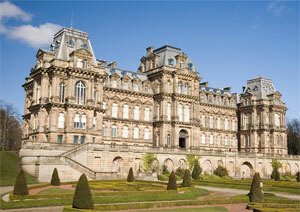 The Bowes Museum, has received Designated status from the government in recognition of the outstanding collection. The Killhope Wheel is part of a reconstructed 19th century lead mine located in the upper dale. 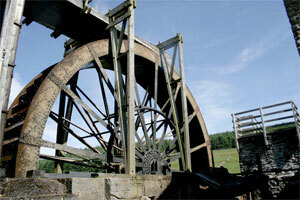 The mine and its workings are now a museum that showcases the industry that dominated dales life for many centuries. The lead mining industry of the North Pennines has left a rich legacy of industrial archaeology. This heritage is of national importance, and a number of mining sites and remains have been designated by English Heritage as scheduled ancient monuments. We are Four Star GOLD!